Microsoft 8.1 and PayPal have partnered up to enable PayPal Here to run on any Microsoft 8.1 product. Microsoft will now be able to sell Surface as an all-in-one mobile POS system to food enterprises. A new device powered by Microsoft 8.1 has also been debuted: the Panasonic’s Toughpad FZ-R1. The Toughpad device is unique in the sense that it’s design makes it sturdy enough to endure tough use in a restaurant setting and will have a significantly longer life than other consumer table models. With this new Microsoft-PayPal partnership, merchants will be able to accept card payments with PayPal Here on any device that runs the Windows 8.1 operating system. 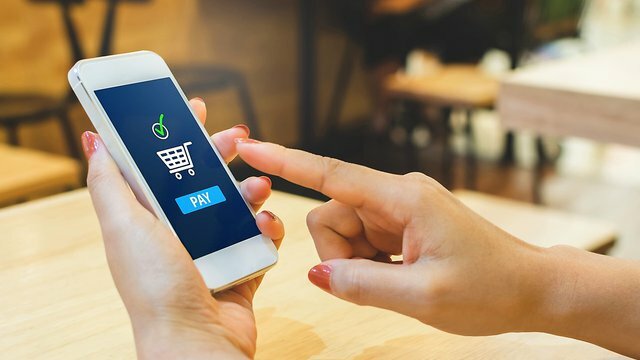 PayPal used to be only compatible with iOS and Android devices, but now has released an SDK to enable software developers to create ancillary services such as inventory management and customer engagement programs such as loyalty that can be paired with PayPal Here on Windows. This could potentially open the doors for similar providers such as Amazon Local Register, Intuit GoPayment or Square, whose up until now have not been compatible with Windows devices. NCR Corporation (consumer transaction technologies) enables over 485 million consumer transactions per day. The integration of Apple Pay is important to the all the industries that NCR Corporation serves such as travel, hospitality, retail, global and small businesses. Apple Pay is a highly secure form of payment that NCR will help integrate for its customers using traditional POS, mobile commerce channels, mobile apps and a mix of the these. Food Tech Connect will be hosting a series of classes on June 28th in NYC on how to save money on technology in a restaurant. The first class in the series will touch upon how to choose the POS system best suited for your restaurant, how to budget for your restaurant IT and how to drive more traffic and keep customers coming back. Overall the class will teach how to create a tech strategy that is straight forward and that will save you time and money. Mike Dulle, who leads the Restaurant & Bar Initiative at ShopKeep POS, will be leading this first 90 minute class. The second class in the series is taught by Felicia Stingone, former Senior Managing Director of Brand and Marketing for Danny Meyer’s Union Square Hospitality Group. The class focuses on different marketing strategies and how to really leverage and build your brand. Walk away with insights and practical tactics that you can use to shape a brand strategy and develop a marketing plan to help grow your business. The last part of the series is a panel led by the founders of Culintro, Easy Pairings and Culinary Agents. The panel discussion will focus on how to streamline hiring processes and which technologies can help make this process easier. It will also share tips on how to empower employees to succeed and give an insight into how these three startups are working to improve and simplify the hiring process. Swipely’s new release, “Winter ’14“, now includes menu and server performer intelligence to help restaurants “make smarter decisions about their key drivers— food, staff, and marketing,” according to CEO Angus Davis. The Swipely system is compatible with several major POS systems, and it stores data each time customers pay using credit or debit cards, which is roughly 75% of the time. Additionally, Swipely reduces the cost of accessing credit and debit card payments for restaurant operators. Operators can apply the information the insights about their servers to aid in training and decision making. Similarly, by evaluating which dishes are best-sellers, operators can more easily make sound marketing decisions.